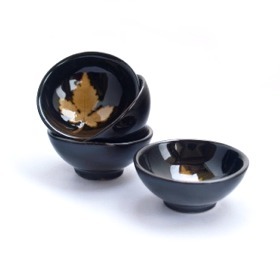 Leaf Tea Cup is made with natural clay with a real leaf embedded into the base of the cup. Leaf Tea Cup is finally glazed for the shiny effect. A very beautiful and creative made cups. Comes in a set of 4.